Anyone have experience with G8 mufflers? My car is completely stock. I want it a bit louder, but nothing drastic. I went with Maximizer Pontiac G8 Muffler for my PPV. 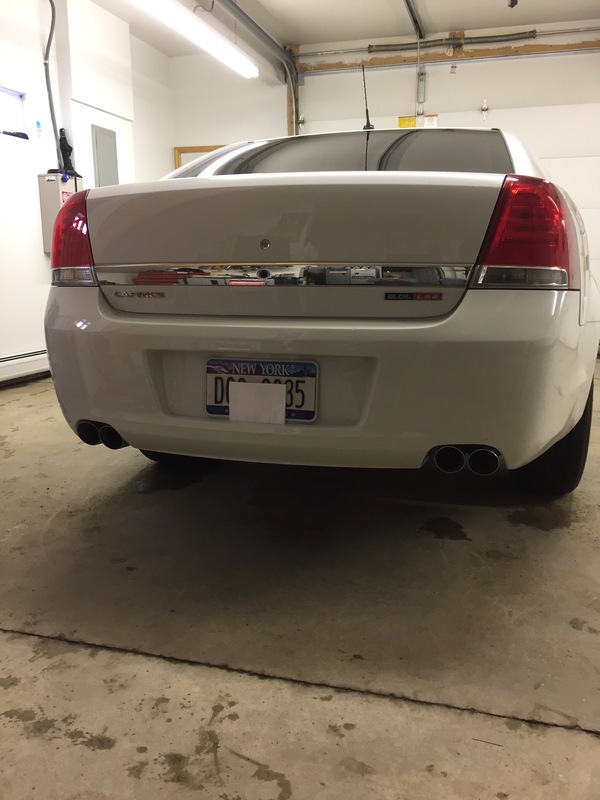 The only thing is the G8 mufflers are short so you have to get an extension on the tailpipe. Thanks but I was thinking about the stock G8 mufflers. Nice job on the install but I think that setup is a bit louder than I want. Thanks..
No problem. The stock Pontiac G8 mufflers will bolt on but they will be short so you would have to extend the tailpipe. The PPV is longer than the G8. I went with Solo cat back , not loud at all. Last edited by cerbomark on Mon Apr 15, 2019 11:40 pm, edited 1 time in total. That looks nice bro! How did the length play out. Got to get a sound video on hear next. Length is adjustable in the tail section. They came adjusted the correct length as they are made for the car.